Ospreys' match against Leinster will be a clash of the Pro12's two form teams - featuring a duel which could be crucial to the British and Irish Lions. They tour New Zealand in 2017, with Wales' Dan Biggar and Ireland's Johnny Sexton of Ireland the leading contenders to be fly-half. Ospreys' Biggar faces Leinster's Sexton on Friday, and ex-Lion Phil Bennett rates them among the world's best. "Those going to the Liberty will see two world-class fly-halves," he said. "They're two outstanding 10s, probably in the top five in the world." Leinster, who are second and just one point behind leaders Scarlets, have won their last six Pro12 games. The seventh-placed Ospreys are aiming to emulate their Irish opponents as they aim for a sixth successive league victory. Bennett believes the clash between Biggar and Sexton will be pivotal to the result between Ospreys and Leinster. The former Wales fly-half also thinks the two players are in prime position for the 2017 Lions tour of New Zealand. "There's a long way to go before we talk about the Lions tour," Bennett added. 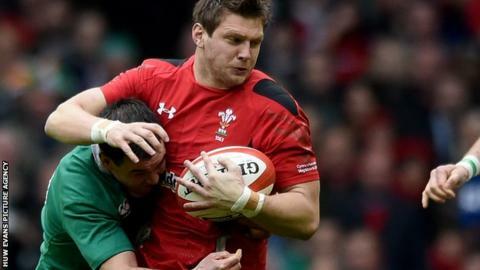 "People will be looking at Dan Biggar's form in New Zealand [where Wales are on tour in June] when he's facing the All Blacks. "But those two players are leading the race to be the top two fly-halves to go down to New Zealand."